I'm back today with another review of products from HASK, a quality hair care brand that specializes in shampoos, conditioners, and shine oils with different essential oils. 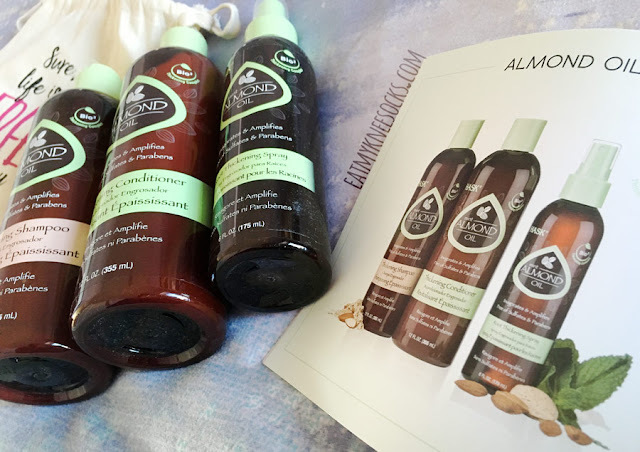 This time I'll be reviewing their mint almond oil hair care collection, a great choice for those who wish to thicken, volumize, and restore their hair. 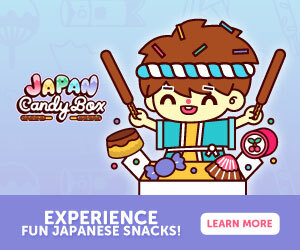 Details ahead! 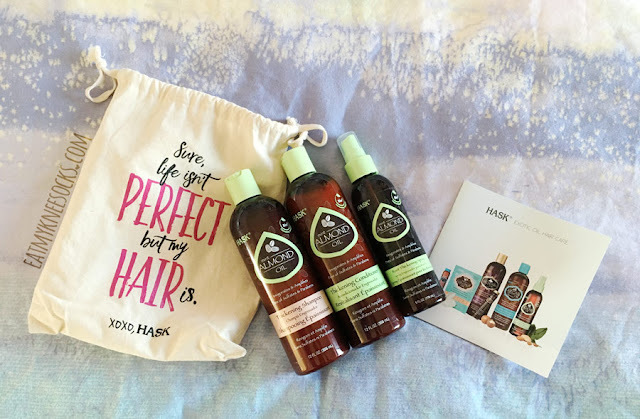 This is my second review of HASK hair care products. Last time, I reviewed the Monoi Coconut Oil hair care collection, including a shampoo, conditioner, deep conditioner, hair shine oil, and HASK hair brush. Their mint almond oil hair care collection, which I'll be talking about today, focuses on boosting and restoring your hair. 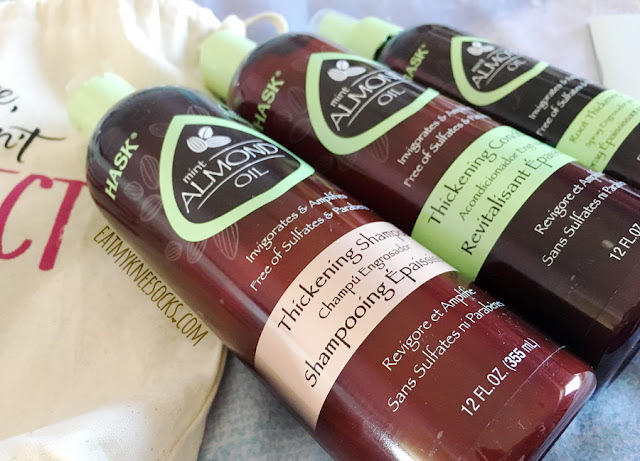 This collection includes a thickening shampoo, thickening conditioner, and root thickening spray, all featuring the key ingredient: mint almond oil. 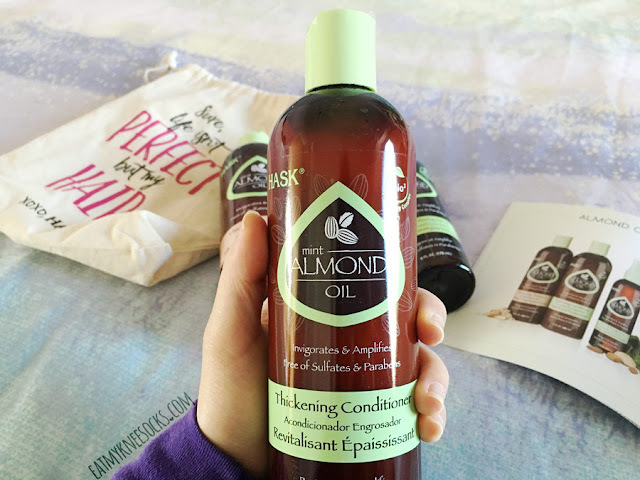 As with their other products, HASK's mint almond oil hair care products boast salon-level quality, and everything is made without the use of harmful sulfates, parabens, or artificial colors. 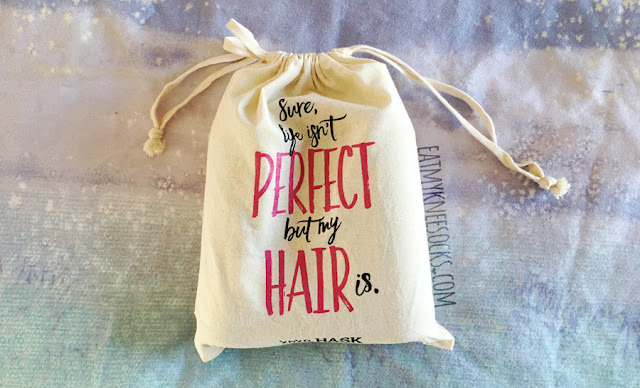 The three products included in HASK's mint almond oil set came in an adorable HASK drawstring canvas bag, so you can easily pack them and carry them around! Their simple, sweet designs give off a tropical vibe, and, paired with the sweet vanilla-almond scent of these products, whisks you away to a summery paradise. 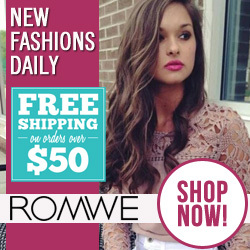 In this three-piece set, the shampoo and conditioner come in 12 fl. oz. bottles, while the root thickening spray comes in a smaller and lighter bottle, measuring 6 fl. oz. Almond oil is popular for its ability to nourish and volumize hair, containing high amounts of omega fatty acids, magnesium, and vitamin E. These three products also include HASK's Bio3 Thickening Complex, a combination of ginseng, gleditschia, and white nettle that strengthens, invigorates, and adds volume to hair. To top it off, a touch of peppermint oil gives each product a subtle minty scent. 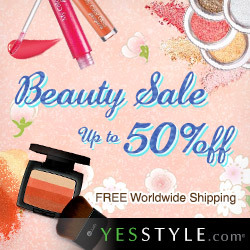 The thickening shampoo and conditioner can be used like any other shampoo and conditioner products. 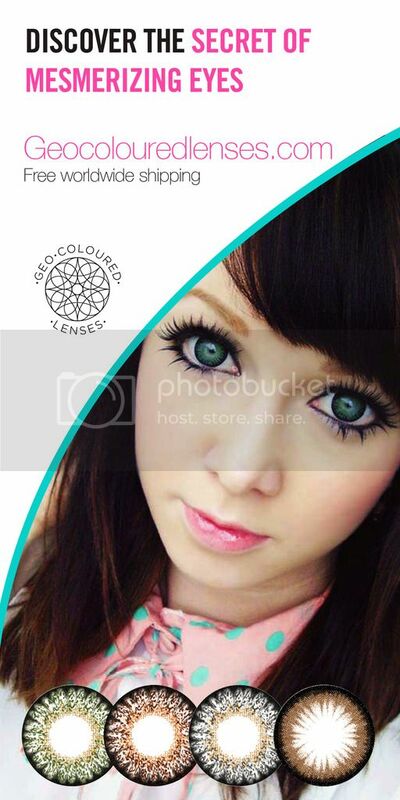 I've used them a few times already, and the effect is noticeably different from regular products. I have fairly flat, thin hair, but after washing with HASK's mint almond oil products, my hair is a lot more voluminous than before. 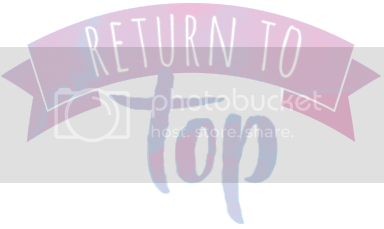 The root thickening spray has even more drastic thickening and volumizing effects and doesn't make hair feel heavy or sticky, so it's great for those who love having voluminous hair. 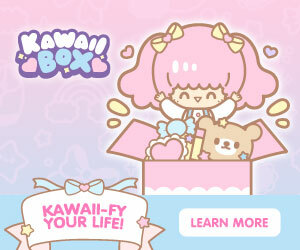 It adds a good amount of texture, though you have to be careful not to overspray, otherwise your hair might get greasy. 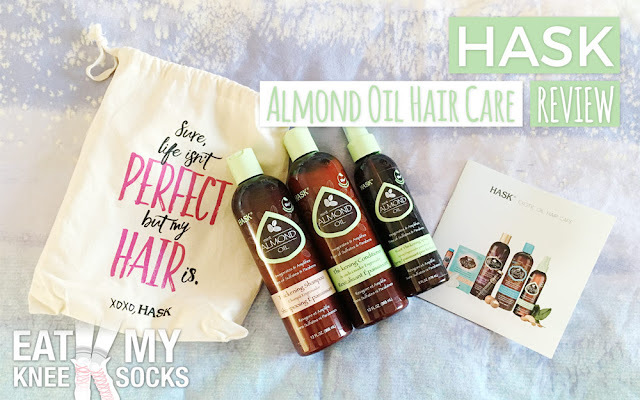 HASK's mint almond oil hair care collection is a great all-inclusive hair care set for those of you looking for healthy, strong, and voluminous hair. 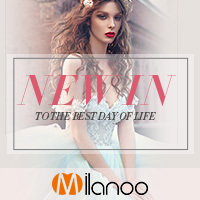 The products are effective, easy to use, and leave your hair looking great, with a refreshing minty scent!